The Les Tapies Visual Arts programs provide rich cultural experiences on excursions to a variety of unforgettable destinations. The Pont du Gard, an ancient Roman aqueduct. Les Tapies is situated in an ideal location, just north of Provence, which provides extensive opportunities to draw on the cultural riches of the South of France. Participants in the student program take frequent excursions to the historic cities of Avignon, Aix-en-Provence, and the Roman aqueduct at Pont du Gard. Additionally, smaller trips are offered to explore the nearby medieval villages of Beauchastel, Chalencon, and St. Pierreville, which are ideal subjects for painting, drawing, and photography. Our excursion to Aix-en-Provence is one of the many highlights of the Student Program. The home of Cezanne, Aix is a vibrant city with extraordinary light. Its beautiful tree-lined boulevards are filled with lush gardens, sparkling fountains and buzzing cafes. 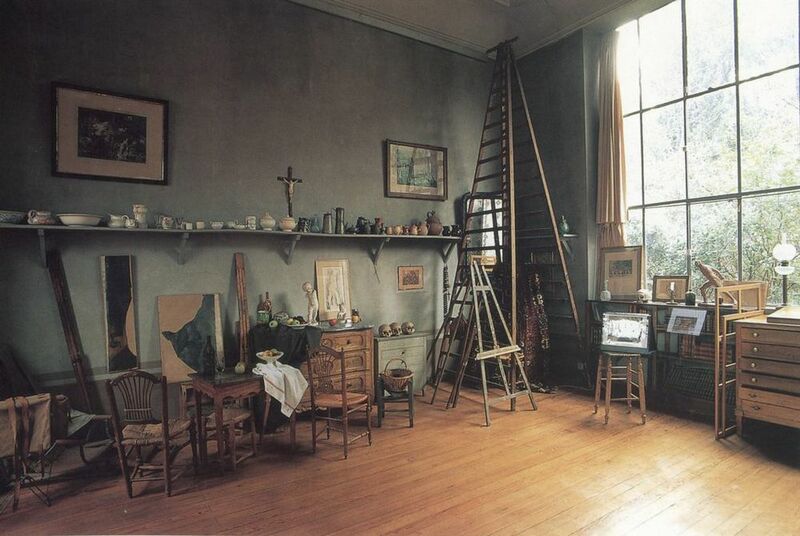 Participants view an exhibition at the Musée Granet and finish with a visit to Cezanne's remarkable hill-top studio. This year, students and teachers at Les Tapies will visit the Granet Museum to view a special exhibition: American Icons. Pioneering works by fourteen postwar American artists, including Andy Warhol, Roy Lichtenstein, Chuck Close, Agnes Martin, Ellsworth Kelly, Richard Diebenkorn, Alexander Calder, Sol LeWitt, Donald Judd and Cy Twombly. 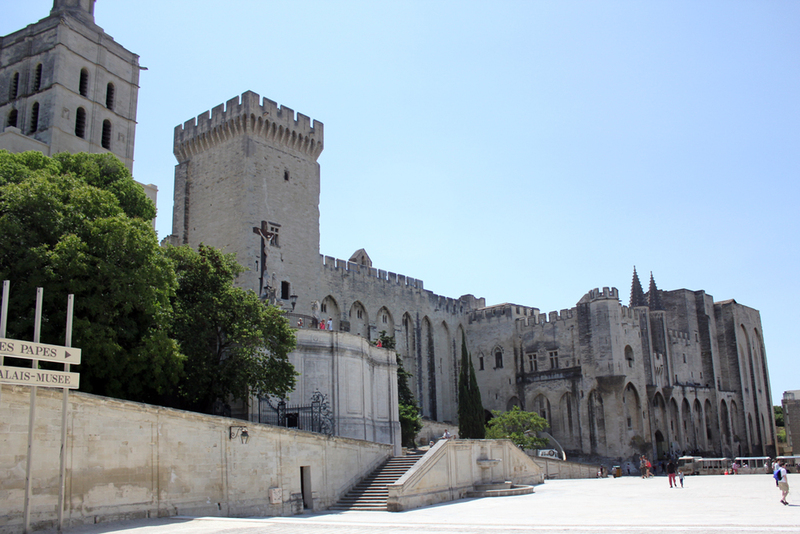 Avignon, the city of the Popes. Participants visit the massive medieval fortress and papal palace, Palais des Papes, one of the largest and most important medieval Gothic buildings in Europe. We then set off to explore the ancient cobbled streets and leafy squares. In the afternoon, we visit the Pont du Gard, an ancient Roman aqueduct built in the 1st Century A.D.
Photo majors have a unique opportunity to take a group trip to the Recontres d’Arles, an internationally acclaimed photography festival just south of Les Tapies in the beautiful city of Arles. 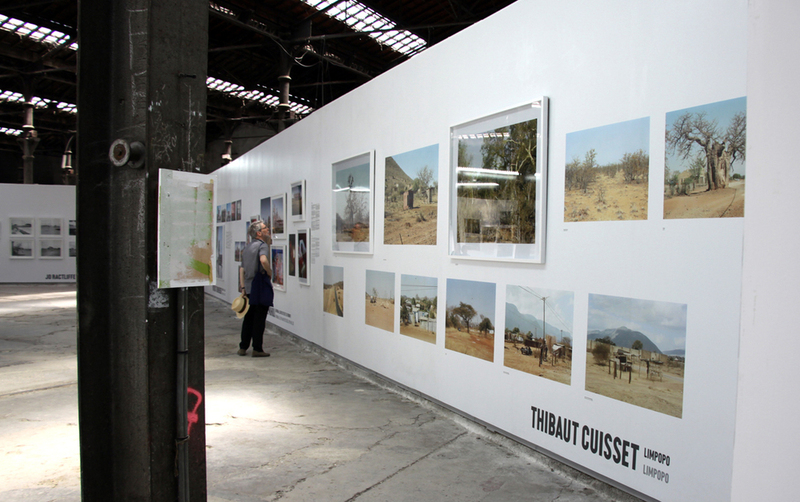 The festival includes work from over sixty international photographers and exhibition venues include a range of Arles' remarkable heritage sites such as 12th century chapels and 19th century industrial buildings. The exhibitions are often produced in partnership with French or foreign museums and institutions. With a focus on unpublished works, the Rencontres d’Arles has become a major influence in disseminating the best of world photography. 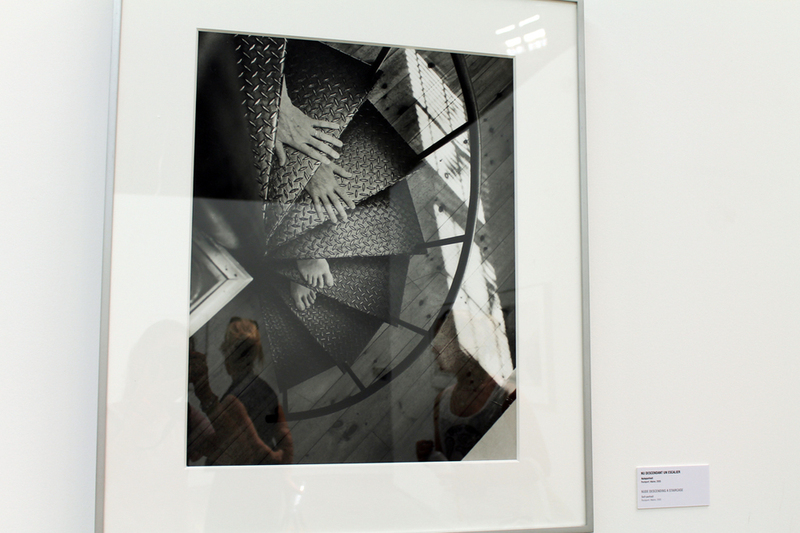 The festival is also an extraordinary source of inspiration for our students as they discover new processes, techniques and approaches to the photographic image. Visits to the local Chestnut Museum, open air markets, the art museum at Pont d'Aleyrac and the Wool Mill, hikes in the mountains, kayaking and swimming in the crystal clear Eyrieux River - all provide relaxing breaks from the intense studio work, as well as opportunities to discover the beauty of the Ardeche countryside.